First American Security Services, Inc.
Short and Long Term Contracts Available! Our goal is to provide services that addresses the security needs of our customers and these goal have been demonstrated by our dedicated performance. Proven skills, knowledge of the security industry, knowledge of specificialized Markets analysis and meeting the needs and solving the security concerns of customers are our main assets. 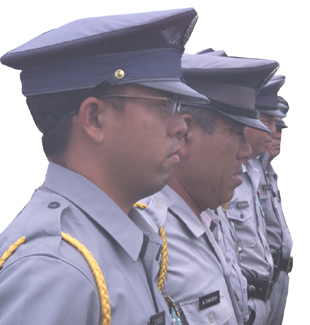 With this excellent quality factors we offer competitive prices for professional, quality security and protective services. All our officers are required to have work experiences of minimum of three years as security or law enforcement officers before being hired. Additional training is given to the hired officers to meet our company standard. © 2004 First American Security Services, Inc.